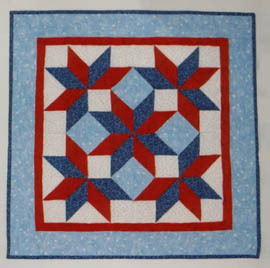 This pattern is made up of solid squares and half-square triangles using Thangles, Triangles on a Roll or half-square triangle paper. What an easy pattern to make. Price includes shipping and handling.